People, learning, and technology… in that order. He loves combining these to help people do their best work and fulfill their personal and collective potential. Dustin’s career started with a B.A. in Music Composition and a job as the Multimedia Manager at Cincinnati Christian University – where he developed a sense of aesthetics and design with a bias towards achieving an emotional response to create intellectual arousal. He then explored counseling where he learned the art and science of building trust and helping others navigate the human experience. This shaped his ability to create environments conducive to individual creativity and team collaboration. It was at the University of Cincinnati where Dustin fell in love with learning technologies. 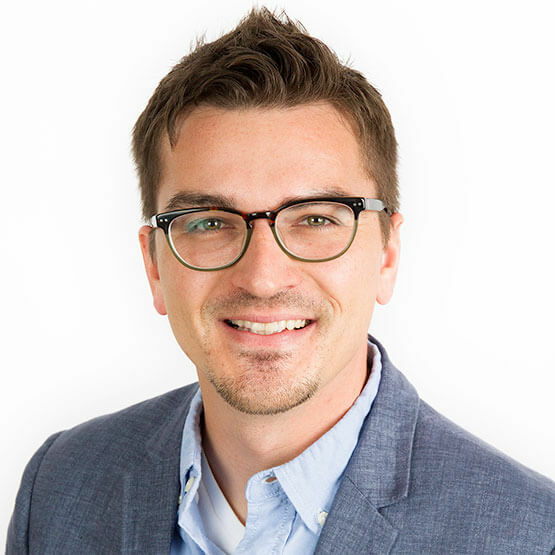 While working towards his master’s in Instructional Design and Technology, Dustin helped nurses experiment with emerging technologies in online learning environments, designed and researched the impact of collaborative learning spaces, and developed cutting edge physical and virtual simulations. The “Idea Guy”. He was also known at his previous job as “iCandy” because of his love for Apple products – although he believes it’s because of his dashing good looks. Of all the roles Dustin has, his favorite is being Dad to his two daughters! He says it’s a true playground for truly understanding human motivation and engagement strategies. Dustin has authored published articles on learning space design, scaffolding and motivation, and writing for eLearning. Most people are highly impressed with the number of books he consumes in a year, but he doesn’t read them. He listens to TONS of them during his long commute…which is probably why he lists of more than a dozen books if you ask for his favorites.